Southern as Biscuits: Full Moon Rising at Raylen Winery Complete with Wolves! Full Moon Rising at Raylen Winery Complete with Wolves! Outdoor fun at RayLen Vineyards and Winery. It's time to let loose and howl at the moon! RayLen Vineyards will host their 8th Annual Full Moon Festival on Saturday, July 16th from 5-9PM. This is Raylen's only nighttime event, so take the opportunity to beat some of the heat! Jerry Chapman and the Vagabond Saints Society will present "Woodstock" and sing a variety of songs by Jimi Hendrix, CCR, Grateful Dead and Santana. I am especially excited about having a "Near Wolf Experience" with River the wolfdog at the Festival. Full Moon Farm, a non-profit wolfdog rescue organization nestled in the mountains of North Carolina, offers visitors the chance to meet and have their photo taken with "River", their Ambassadog. 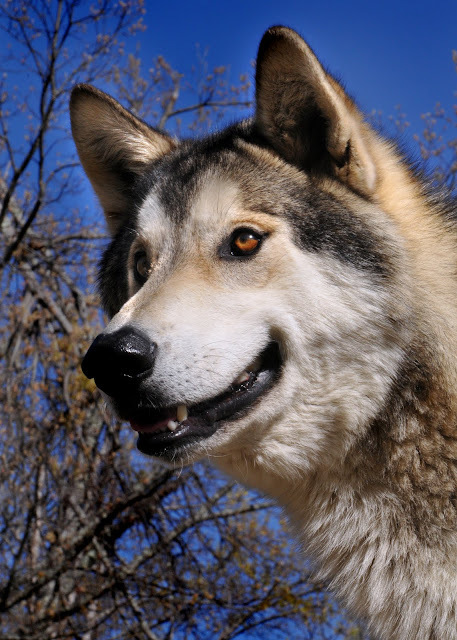 Learn facts about wolfdogs versus the myths. River is a wolfdog that came to Full Moon Farm via Brother Wolf Animal Rescue in 2009. As he is so handsome and outgoing, it was decided to see if he would work as an "ambassadog." It is a role in which he has excelled. River enjoys going out and meeting people, and is a fantastic representative for wolfdogs. For your dining pleasure, Full Moon Oyster Bar will be at the event serving up grouper sandwiches, their grilled jumbo shrimp, oysters shucked on-site and Black Canyon Angus Burgers. Admission to the Full Moon Festival is $10 per person (cash at the gate), which includes parking, and a glass of wine with a souvenir Raylen Vineyards wine glass. Flip flops, picnic baskets and lawn chairs permitted, while pets and coolers are not.